The National Green Tribunal has stayed for a week the demolition of illegal religious structures spread over 7.5 acres in the central Ridge area near the Birla temple in central Delhi. A bench headed by Justice U D Salvi passed the order after Pracheen Mahamai and Bhairo Mandir Trust claimed right over the forest land and sought stay of the demolition order. The NGT, after perusing the records, said there is no reference to "any land and or any right, title or interest in any immovable property" in the Trust Deed of Pracheen Mahamai and Bhairo Mandir Trust. It, however, stayed its order for demolition of the structures to allow the Trust to present its case before the Supreme Court, which has already issued notices to the parties in the case. "All other documents such as passbook, electricity bill, telephone bill, voter ID, aadhar card may at the best speak about the presence of the Trust at the address given there in and nothing more. No document evincing right, title or interest in any immovable property, much less the Central Ridge Forest Land, NCT of Delhi has been produced by the Mandir Trust," the bench said. The green panel had earlier directed the Ministry of Urban Development and Delhi government to demolish the illegal religious structures after the Ministry submitted that demarcation of the area where the illegal structures were to be demolished has been completed and two religious structures and a platform identified as encroachments. 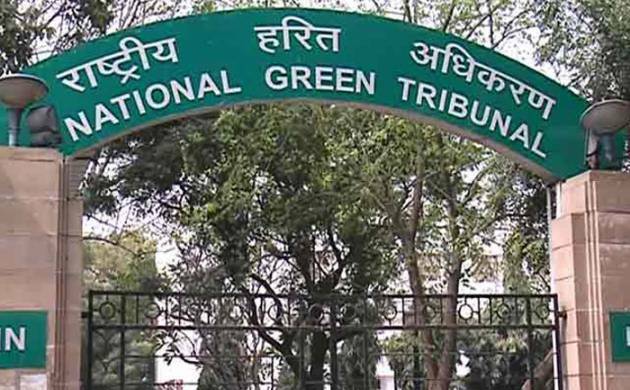 The NGT order came on a contempt petition filed by K C Bhargava, who resides near the temple located on Mandir Marg in central Delhi, stating that the construction by the trust were in violation of a Supreme Court order prohibiting non- forest activity in 7.5 acres of land adjacent to the shrine. The petition also submitted that the Ridge, the northern extension of Aravalli Range, has been notified as a reserved forest area as per the Delhi government's May 24, 1994 notification by which any non-forest activity there, without permission of competent authority, is prohibited.